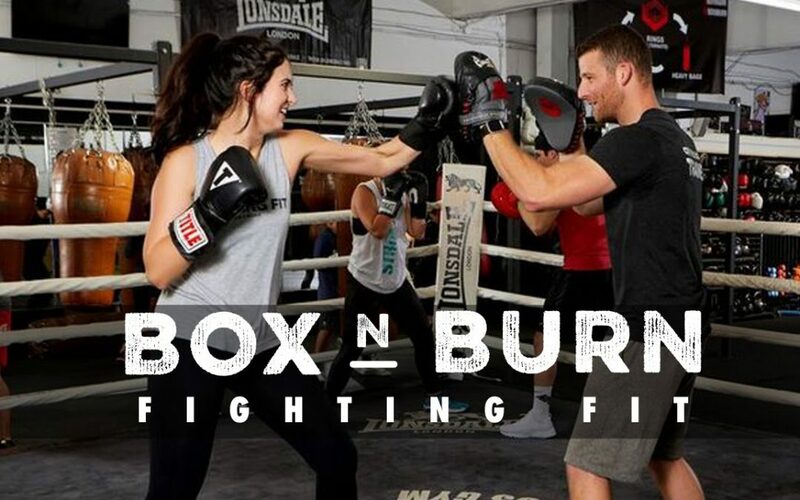 I wrote this article for the Box N Burn Academy – teaching PTs how to teach boxing click link to read it on the Box N Burn Academy blog. Box N Burn has locations in Santa Monica and Brentwood, California. As a personal trainer you need to start to think and act like a BUSINESS. You are a BRAND! Start to build your brand authority, recognition, and reputation. 99% of PTs are not doing all of the following, so get ahead of your competition! and will cost you nothing but your time! 1. Network – obvious but often overlooked! Definition: interact with other people to exchange information and develop contacts, especially to further one’s career. – hand out business cards wherever you go and always have a 30 second elevator pitch. It’s GOOGLE and it is FREE!! it’s the #1 place people search! – Ask them to sign in to Gmail. – In the window that appears, click the stars to score my business. If you want, you can also write me a short review. – Your aim is to get positive reviews from people who write reviews often and are active in the Yelp community (so NOT your mom, granny, next door neighbor – who have never written another review!). – The golden ticket is to get someone who has written lots and lots of reviews or even better to get a member of the Yelp Elite Squad to write a review for you. Yelp users are savvy, they can spot fake reviews a mile off, so can Yelp. You should be asking satisfied clients to post a review. – Click Reviews on the left side of the FB Business Page’s Timeline. – Click the gray stars to choose a rating. You can also write a review. – Click to select your audience. Word-of-mouth travels fast, you could lose current clients or put-off potential clients if it appears to them that you party hard and are not disciplined or serious about your business. A potential client will check out all your social media profiles. Do not post partying pics on your brand page, why would anyone pay you top-dollar if you are giving clients the impression that you’ll be hungover on their time? To get more clients keep your social media posts professional and fitness related! Fastest way to lose clients is having bad reviews – Always respond to negative AND positive reviews! Per Yelp, when responding to a negative review – take a deep breath and think very carefully about what you are going to write. Keep your message polite and simple: “thank you for your business and the feedback”. If you can be specific about the customer’s experience and any changes you may have made as a result, this could go very far in earning trust. Keep in mind that this is a vocal customer who could well copy and paste your message all over the Internet. Responding to reviews is a great way to learn from and build goodwill with one of your most vocal customers. DO NOT ADD MUSIC to your videos, it is ok on YouTube because people expect sound, but on your website do not post a video with sound, that is the fastest way for people to leave your site and you can get into trouble with copyright infringements. Post videos social media, for Instagram video can only be from 3 seconds to 60 seconds in length. Also don’t forget to write what the video is about in the Youtube description. If you have a website start blogging on it. Writing is FREE and a very powerful marketing tactic! It helps boost your Google rankings so you get more exposure. Blogging is the best way to build your authority and increase your Google rankings. You probably share fitness tips and your expertise with family, friends and clients all the time, so write them down! All that free good advice you give, let it work for you! You need to let them know that you are an expert (authority) on personal training, nutrition coaching, boxing, weight lifting, sports nutrition, group fitness classes, or whatever it is you offer. Clients want to hire a trainer that knows their stuff , who they feel safe with, and they feel you are worth whatever you charge. Convey that in your blog posts! Add images and video to break up the page. Give good tips, how tos, recipes, healthy shopping list, eating out tips, recommend local places, how to stay fit while traveling, cheat days, a day in the life, featured client, behind the scenes at a video/photo shoot, technique tips, tips on losing baby weight or beer belly, how to workout with a baby, or other good takeaways. Add numbered lists or bullet points! If you are a personal trainer in Denver and you train skiers or mountain climbers, reference Denver and the surrounding mountain areas, include the sports event they are training for, include local restaurant or health stores where they can bulk up on carbs, supplements etc. If you train clients on the “stairs” or the beach in Santa Monica and you recommend a local salad bar post-workout, mention all of these local places. If you train clients in Central Park, New York, be sure to mention the location and directions to the meet up place, maybe you recommend clients eat before training session “Grab a bagel on the corner of Columbus and 5th” etc. – you write on other health and fitness related websites. You should be doing this even if you have your own website. Just be sure that you only post high-quality, original content without spammy links, because Google is cracking way down on low-quality guest blogging. 11. Invite other health and fitness people to guest blog on your website. Why? So you have fresh content on your site and whomever wrote it will likely share it on their social media and link back to their guest article, which could bring new readers to your site. On your website ALWAYS use a real local address (no PO Boxes of fake addresses) and a local phone # (not 800#) and ALWAYS write it consistently everywhere online. Don’t keep flip flopping with your name or business name! Don’t refer to yourself as yourself Chaz, Chas, Chazzie, Charles and Mr.X – stick with one name and address and write it exactly the same each time on your website, social media, business cards and everywhere! If Google is confused by what your real business name and address is, you will not show up in Google results! Consistency is very important! If you need help with onsite SEO so you get found on Google, Yahoo and Bing contact Michelle Farrell I can consult and make technical SEO changes for you. – Make sure the map, Street View image, or directions you’d like to embed shows up on the map. – In the top left corner, click the Menu. – Click Share or Embed map. – At the top of the box that appears, choose Embed map. 13. Cross-promote with other health related businesses. Whom do you share customers with? Find them and figure out how you can promote one another. If you’re a Trainer, hook up with a health store, vitamin store, sports shop, gym or anyone you can think of for client referrals. Email has nearly three times as many user accounts as Facebook and Twitter combined? That’s 2.9 billion! So you should be using it to grow your customers! How? Contact your existing clients to upsell or to help you grow your client list. You develop relationships with your client based on their habits, diets and goals; email is a great way to connect with them with personalized messages, links to relevant articles or other health related and business tips. Email will help you stay top of mind. This means that the client you have who only comes in twice a month will still be thinking about you every week as you make it a point to send them emails that are catered to them or are helpful for everyone. Sign up for a FREE Mail Chimp or Constant Contact to store all of your past and previous clients’ emails and to send out bulk emails with fitness and nutrition information that educates them on how to live healthier lives. Offer an incentive (free, buy-one-get-one, etc.) to your clients for their referrals. Give your client and the referred person something that will make both of them happy. One free personal trainer session for each is always a good idea. Don’t just rely on word-of-mouth referrals, also give your business card with your offer printed on it AND send email to clients that can easily be shared with the friend. It’s not free but costs are really low to get a podcast up and running – click link to read my article on how to get started. If you are not tech savvy and get overwhelmed, hire someone on Fiverr to set up your emails for you, make you a logo, animations, videos, flyers, business cards or whatever, prices start from $5. Don’t waste your time taking 5 hours to do a task someone else can do in 30 mins for $5.